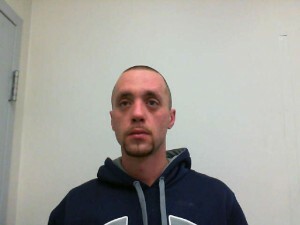 CONWAY POLICE SAY A 29-YEAR-OLD NORTH CONWAY MAN WITH A LONG ARREST RECORD IS CHARGED WITH SIX MISDEMEANORS AFTER HE ALLEGEDLY STOLE AN SUV MONDAY AFTERNOON AND THEN TRIED TO TURN INTO A DRIVEWAY TO HIDE WHEN POLICE CAUGHT UP WITH HIM. LT. CHRIS PERLEY SAYS OFFICERS RESPONDED SHORTLY AFTER 3 P.M. AFTER GETTING A REPORT A MAN HAD BEEN LOOKING INTO CARS AT A PARKING LOT NEAR THE NORTH CONWAY LIBRARY BEFORE HE GOT INTO A MAROON LEXUS RX 350 SUV AND DROVE OFF. PERLEY SAYS POLICE UNITS SATURATED THE AREA LOOKING FOR THE SUV AND ITS DRIVER AND ULTIMATELY LOCATED THE SUSPECT – IDENTIFIED AS CRAIG M. LEIGHTON OF MECHANIC ST. – ON HURRICANE MOUNTAIN RD., WHERE HE WAS ARRESTED WITHOUT INCIDENT BY OFFICER RYAN MacLEAN. PERLEY SAYS LEIGHTON IS CHARGED WITH JOYRIDING OR UNAUTHORIZED USED OF A PROPELLED VEHICLE, AGGRAVATED DRIVING UNDER THE INFLUENCE OF DRUGS OR LIQUOR, DISOBEYING AN OFFICER, DRIVING AFTER REVOCATION OR SUSPENSION, DRIVING WHILE INTOXICATED AND HAVING AN OPEN CONTAINER. PERLEY SAYS LEIGHTON IS ALREADY ON PROBATION FOR OTHER OFFENSES. THE STOLEN SUV WAS BRIEFLY IMPOUNDED BEFORE BEING RETURNED TO ITS OWNER – A RESIDENT OF BIRCH HILL RD. IN NORTH CONWAY – WHO HAD LEFT THE KEYS AND WALLET WITH CREDIT CARDS IN THE OPEN SUV. PERLEY THANKS THE WITNESSES FOR GIVING HIS OFFICERS AN ACCURATE DESCRIPTION OF WHAT HAPPENED BUT CAUTIONS PEOPLE IT’S BEST TO REMOVE VALUABLES FROM THEIR CARS BEFORE LOCKING THEM.